Does anyone know if sysmetrix works for windows 10?? Id REALLY like to make them again.........i miss sysmetrix alot on windows 10! omg i just downloaded sysmetrix and it works on windows 10!!!!!!!!!!! Are you kidding me?!? It does?!? When that happen?? I used it on 8.1 and it was full of bugs! Installed, no problem. Even dl'd a skin and that one installed, no problem. We'll see. oooh got a problem though...... i tested a new skin I was making, I can import the bmp background image no problem......BUT when I go to graphics and add one, and go to drop down image file......its not showing, despite me having one there, and renaming it several times to different things... like, graphics, graphic_BG Graphic_BG etc. if you have any luck Uvah....let me know. Do this...find one of my old skins and install it. Change the .smx file extension to .zip and extract the images into a folder. Then you have all the images, basically all png's. Just save your background image as bitmap (bmp) I just did a test skin run and it worked fine. Then one day it fixed itself. Jafo, you could had tried magic yellow or maybe magic blue. And so you should! Everything is Microsoft's fault! When it's actually visible it means something somewhere went 'wrong'.. This is true. The RGB is 255...0...255. If one value is changed, even by one number, example...255...1...255, the magic pink loses it's magic. (its an analogy, been awhile since I played with SMX). I blame MS.
Or if you're using crayons and went outside the lines, that'll do it too. To use the pseudo transparency, you need to create 2 images (1 bmp image and 1 png image) Load the bmp first and check the pseudo transparency box. Then go to Graphics under Theme Settings. Add a new layer and load your png file. Make sure both files are in your skin folder. 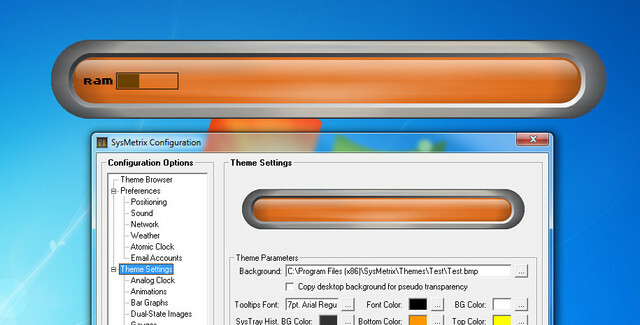 the graphics had to be INSIDE the new sysmetrix folder........not a folder I made for it on the desktop DUH!!! Yeah, it tends to get a bit confusing. Glad you got it working now. Ok......here's what I got so far. Made two images, one png, one bmp. Import the bmp first without magic. Click on use pseudo transparency and the image vanishes. Go to graphics, click add...it goes to the folder but doesn't see the png. Made sure 'before everything else' was ticked. Open the drop down for the image and it doesn't show up. However, I was able to set up a simple clock sans the background. I chose a light background to highlight it. Dl'd one on my old skins and had to import it using SMX config. Clicked on the smx icon and it loads that way too but it does not show up in the folder.